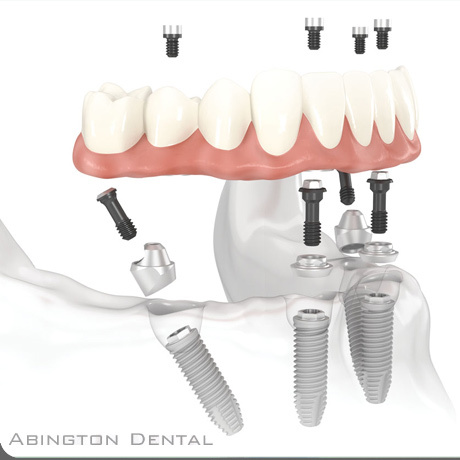 The All on 4 technique is another dental implant option that enables an individual to go home with a brand new smile, within just a single dental appointment. 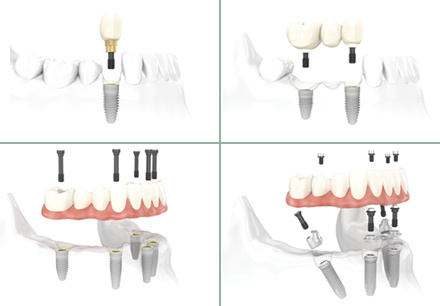 The All on 4 dental implants treatment makes use of four dental implants, two of which are placed at the back portion of the mouth to fully maximise the existing jaw bone structure; this technique eliminates the need for a more complicated procedure, such as bone grafting. A dental bridge can immediately be attached to the implants after they have been embedded into the jaw bone, providing a patient with a smile that can fully be enjoyed within the same day. – without the need for the implants to undergo a healing period, before the teeth replacements can be attached. The same day teeth implants treatment is minimally invasive, and does not involve complicated procedures such as bone grafting – resulting to lower costs as well. As the name suggests, the same day teeth implants provide effective missing teeth solutions in just a single dental visit, as the prosthetic teeth are attached to the dental implants within the same day that the implants are placed directly onto the jaw bone. The result is a brand new smile that one can immediately enjoy, in just a few hours after the same day teeth with implants treatment is started.